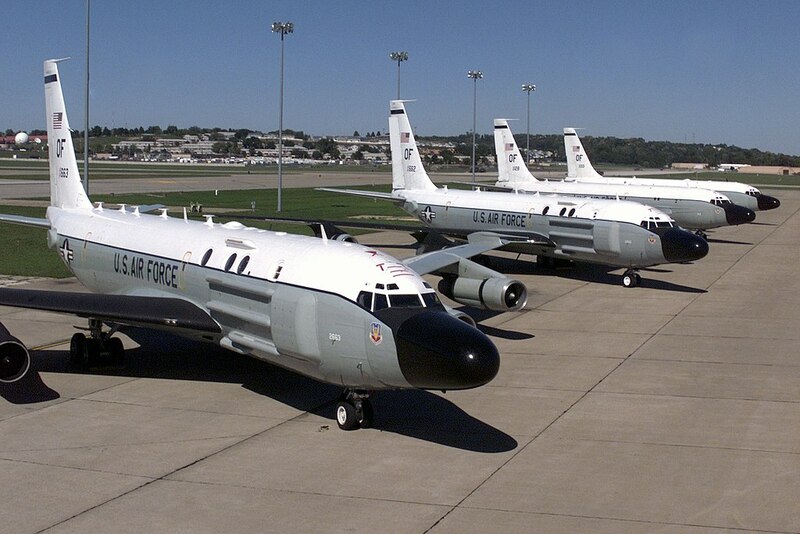 The Omaha World-Herald reports that one of the three RC-135S Cobra Ball spy planes were airborne last week during the time North Korea test-fired the Hwasong-15 intercontinental ballistic missile (ICBM). Actually even if the U.S. Air Force (USAF) doesn’t discuss current operations, public air-traffic control feeds streamed over the Internet show one of the three RC-135S Cobra Ball missile-detection jets from the 55th Wing at Offutt Air Force Base (AFB) airborne at almost the same time as the launch last Wednesday, though the jet’s transponder wasn’t sending out its location. Experienced watchers of those feeds often interpret that to mean the plane is flying operations in the western Pacific Ocean, near North Korea. The Cobra Balls, which are equipped with special electro-optical instruments designed to observe ballistic missile flights at long range, are flown by air crews from the 45th Reconnaissance Squadron and staffed by analysts from the 97th Intelligence Squadron, both part of the 55th Wing. In the Pacific, crews are deployed to Kadena Air Base (AB), Okinawa. Cobra Balls were initially employed by Strategic Air Command (SAC) to satisfy nationally tasked intelligence collection requirements. During the Cold War in fact, Cobra Ball worked in complete secrecy for the Offutt-based SAC from stormy Shemya Island, in the Aleutians. Crews on the isolated base flew routine orbits and also responded to alerts when the Soviet Union tested ICBMs in far eastern Russia. In those days, the pilots would trace the rocket’s trajectory in grease pencil on the inside of the cockpit windows, for later study by analysts on the ground. As explained the Omaha World-Herald the USAF released no details about Cobra Ball’s operations in the western Pacific last week. But an unclassified account of a similar mission five years ago, written by 55th Wing leaders for an awards nomination, gives insight into recent Cobra Ball operations near North Korea. In November 2012, intelligence sources indicated that North Korea — identified only as “a rogue nation” in the 55th Wing account — was preparing to launch a rocket and put a satellite into orbit in violation of United Nations sanctions. The squadron quickly deployed two Cobra Ball jets to Japan and set up round-the-clock alert schedules for their crews. 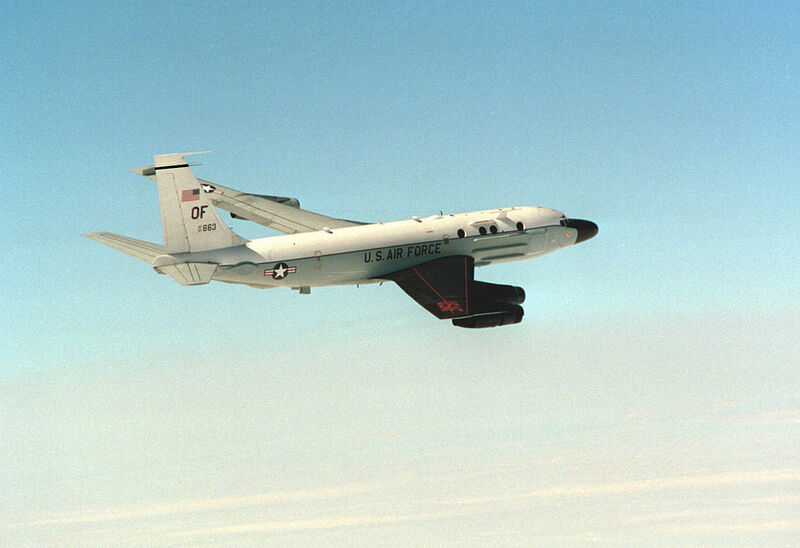 The jets had to fly at the same time, and one plane’s orbit had to be below the missile’s expected path in order to observe the launch as early as possible. But that orbit also placed the aircraft within range of North Korean surface-to-air missiles and fighter planes. The crews had to improvise a solution to unexpected communication problems that could have sabotaged the mission, according to the 55th Wing narrative. They also had to overcome “extensive and complicated deception tactics” by the North Koreans. The rocket was launched Dec. 12, 2012, 19 days after the Cobra Balls began their surveillance. The exhausting effort paid off with what the narrative described as a collection that “delivered unparalleled precision data to the far reaches of the intelligence community” and received a mention in the president’s daily briefing. But the squadron’s mission faces a persistent headwind as crews deal with planes often twice as old as the airmen inside. With tensions high over nuclear programs of North Korea and Iran, Hopkins worries about entrusting such a critical mission to 55-year-old airplanes that are showing their age. There are no plans to replace them. 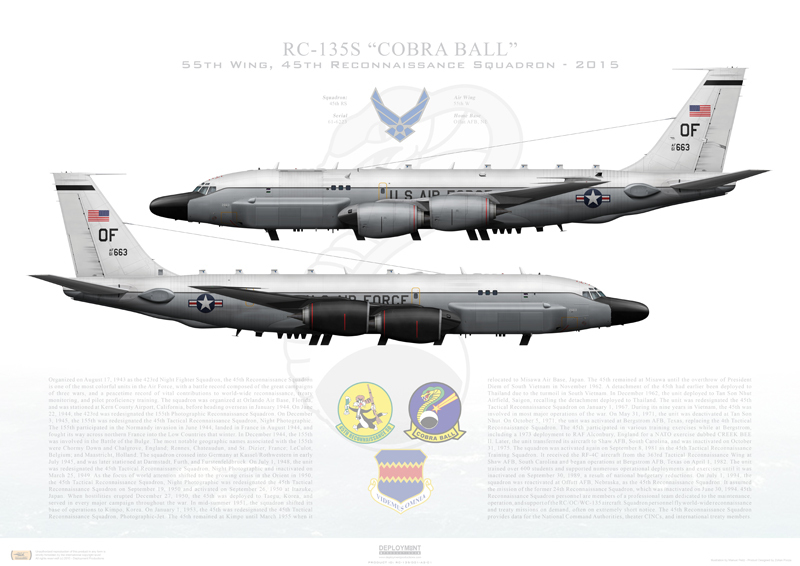 In 2016, the three RC-135S Cobra Balls returned from missions too broken to fly 23 percent of the time, one of the highest such rates in the Air Force’s fleet of geriatric jets. The planes have suffered several close scrapes in recent years.